Buick could use a boost. U.S. sales dropped 6.3 percent to 106,314 vehicles in the first half of 2015. Editor's note: The date that Buick plans to start a 24-hour test-drive program was incorrect in an earlier version of this story. DETROIT -- Buick is offering customers the chance to take test-drive vehicles home overnight, a move it calls a long-term brand builder rather than a quick-hit sales promotion. Buick is encouraging dealers to enroll in the 24-hour test-drive program, which begins Wednesday. It will support the launch with a national advertising campaign, including TV commercials. Buick brand chief Duncan Aldred called the offer "a long-term brand promise." He decided to roll out the promotion nationally based on positive customer feedback from a recent pilot program in the Phoenix area. "Customers thought it showed that we have a real confidence in our vehicles," Aldred said in an interview. While few if any mainstream brands offer 24-hour test drives today, the concept isn't new. GM ran a similar promotion across its brands in 2003 and 2004. At one point, GM offered to pay $250 to anyone who test-drove a GM product but ended up purchasing one from a competitor. The focus then seemed to be on driving sales. In an eight-month period through the end of 2003, the promotion generated more than 500,000 extended test drives and resulted in almost 190,000 sales, then-GM North America President Gary Cowger told Automotive News in early 2004. 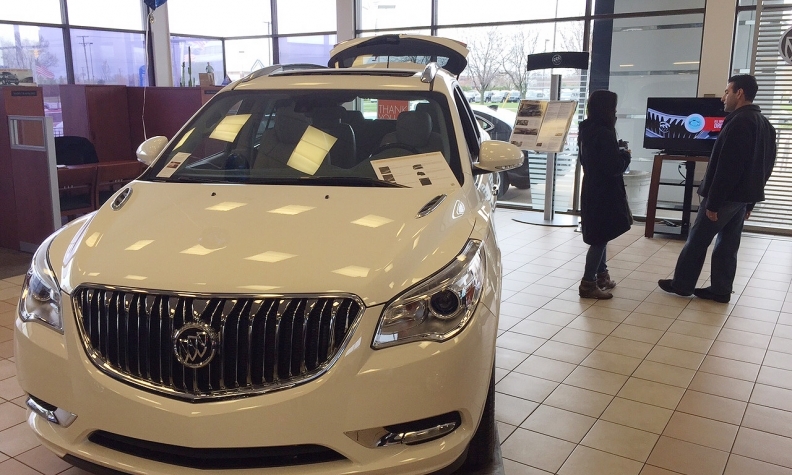 Aldred said Buick's "24 Hours of Happiness" promotion is different. There is no incentive money attached to the test drive. He said it will be evaluated after three months, but he expects it to become a long-term offer. "Because this is a brand building act, we expect it will build over time rather than instantly driving showroom traffic," Buick said in a memo to dealers describing the program. One of the dealers involved in the Phoenix pilot was Henry Brown, chairman of the Buick-GMC National Dealer Council and owner of Henry Brown Buick-GMC in Gilbert, Ariz. He said fewer people than he expected took cars for the night but the offer made a favorable impression on most customers. "It's more of an image builder," he said. "Some people can't believe that Buick has the confidence to send them out in a car without a salesperson sitting next to them to tell them how great the car is." Brown said that the customers who took advantage of the extended test drives were far more likely to buy the vehicle than a typical test-drive customer. Dealers who sign up for the program must already operate a fleet of loaner vehicles for service customers, which GM calls its Courtesy Transportation program. GM has expanded those fleets dramatically over the past two years across the Buick-GMC and Chevrolet sales channels by enticing dealers with financial incentives to earmark vehicles as courtesy loaners. GM dealers also bulked up their courtesy fleets last year to help manage the influx of service work from last year's record safety recalls. Brown said many dealers in 2003 were reluctant to take cars out of their inventory for the 24-hour test drive. This time, he said, "we already have courtesy transportation vehicles that are qualified and ready to go." Regardless of the intent of the test-drive program, Buick could use a sales lift. Its U.S. deliveries fell 6.3 percent through the first six months of the year, to 106,314 vehicles. Aldred acknowledged the struggles of Buick's car-heavy lineup in a market that's tilting toward crossovers. And the cars in Buick's showroom -- the Verano, Regal and LaCrosse sedans -- are nearing the end of their life cycles. That leaves two crossovers to carry the load: the hot-selling, petite Encore and the full-size Enclave, which also has gotten long in the tooth. A recent push to boost shipments of the Encore from a GM plant in Korea by 50 percent should bear fruit in the second half of the year, Aldred said. And he's encouraged by improving brand-image metrics, momentum that he hopes the 24-hour test drive will sustain. "In terms of brand health," he said, "I think we're laying a very solid platform."